What are the characteristics of Generation Z? Learn best practices for training Gen Z.
Bob’s right. Times indeed are a-changin’. In the fine tradition of the generations before us, we shake our heads at the generations to follow and define them using catchy labels. But if you’re anything like our clients, you’re looking beyond clever catchphrases to get a handle on the newest employees on the block and discover best practices for training Gen Z. Look around you. See that 18-year-old grocery store cashier? She runs a TaskRabbit business parallel to her day job. And this 16-year-old, nose to screen with his smartphone, is a minor YouTube celebrity with over 25,000 followers. That 15-year-old runs her own online NGO that connects disadvantaged children with mentors. Impressive, aren’t they? Spotting members of Generation Z is easy! Youthfulness is your first clue. Born between 1998 and 2010, Gen Zers are under 21, and many are ready or will soon be ready for the job market. They form 25 percent of the population of the United States, and by 2020, 30 million of them will join the workforce. Without a doubt, they are the most “connected” generation to date: their absolute ease with technology is your next clue. Approximately 98 percent own mobile devices, and over 90 percent use social media, communicating via smartphone apps such as FaceTime, Snapchat, or WhatsApp. They crowdsource their information online and through their peers. 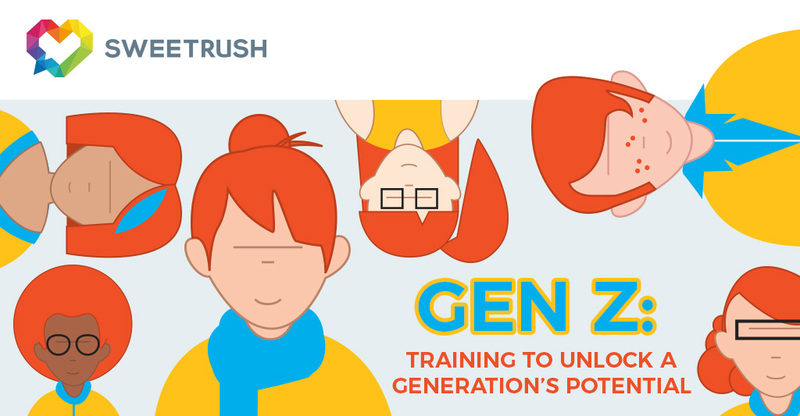 Learn what makes Gen Zers tick. This generation watched its Gen X parents struggle through the recession and its millennial siblings stagger under student debt in a weak job market. So it’s really not surprising that job stability is a priority. Gen Z tends to view a job as a means to an end: it pays bills but leaves them free to pursue other interests. Gen Z employees are usually independent and self-directed, and they value opportunity for growth through training and sponsored higher education. Employers that value diversity and ethics and that offer egalitarian work cultures along with growth win with them. For Gen Z, equality is synonymous with access to information, so keep the information flowing. As my colleague Gail Eisenstein, a lead instructional designer, explains, members of “Gen Z don’t see tradition as a reason for doing something. They want to know why, they want feedback, they want to be heard! Believe me, they’re not shy about voicing opinions. Ten years ago, training needs analysis was hard work because employees were cautious about speaking up, even about issues that impacted them. Millennials and Gen Z, on the other hand, are very vocal with opinions and feedback.” And knowing what makes Gen Zers tick allows you to speak to them and motivate them. 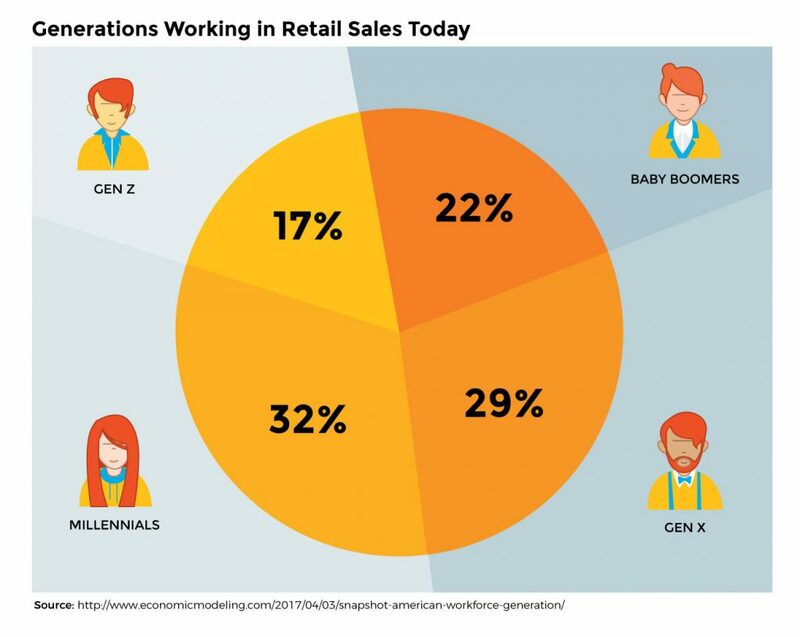 Lack of growth opportunities is a big challenge to retail employers and Gen Z alike because the industry doesn’t typically lend itself to rapid advancement. So find ways other than promotion to build engagement. Offer young employees exposure to information, other forms of growth, and involvement outside the classic advancement ladder. Gail points out, “Gen Z doesn’t always view growth as promotions or [moving into] people management. So plan for alternative performance rewards like specialized training, paid networking workshops, promoting your company’s ‘do good’ efforts and skill building, etc.” Since Gen Zers value learning and growth, training is definitely a big deal, and tailoring your training program to their needs will win you brownie points. Gen Z workers are said to have the attention span of a goldfish, but they are just different—and they are multitasking experts. Your chances of getting members of Gen Z to click their way through a lengthy, text-heavy course are virtually zero. Gen Zers connect to a variety of different devices: laptops, tablets, smartphones, game consoles, and television. Your content must be compatible on all platforms. Members of Generation Z are “digital natives” and access information online. Your content must stand out in the sea of content. Experiential blended learning: Members of Generation Z are experience seekers and problem solvers. In our experience, combining interactivity and visual elements works well. Ownership over the learning experience through customer journey mapping or branching simulations resonates with them, and they often enrich trainings with their perspectives, values, and experiences. Design challenges and case studies are also great ways to engage their critical thinking. And they flourish in a structured safe space for reflection and collective learning. Gen Zers are collaborative, so incorporate group feedback or discussion sessions wherein employees can share experiences and correlate them to principles just learned. Just-in-time learning and nano-learning modules: These are the perfect solution to short attention spans, and learners won’t be overwhelmed with content. Gamification or virtual reality: Use technology in training! Long-life content such as onboarding material could use custom-designed games to subliminally push your organization’s messaging. Videos: Think visual! Creative, edgy videos, such as the wonderful cup of tea video discussing sexual consent, help push your message across. Short video lectures by subject matter experts, mentoring or apprenticeship programs, and virtual instructor-led training (vILT) will also be effective. Loosen your death grip on the LMS. Reach out on different platforms. 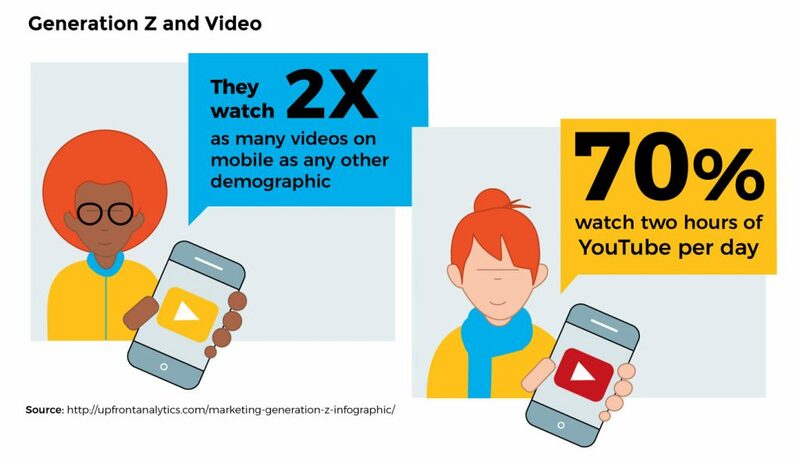 Remember, members of this generation spend about 15.4 hours per week on their smartphones, so use apps and mobile games to boost the visibility of your content. As boomers retire and Gen Z steps up to the plate, employers and trainers need to revisit training programs and repertoires to evaluate what will and will not work for learners. While generational trends can provide a general direction, keep the individual needs of your audience in mind when making training design decisions. Gen Zers have the potential, but it’s up to us to help them unlock it.